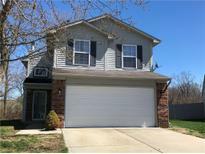 Below you can view all the homes for sale in the River Run subdivision located in Indianapolis Indiana. Listings in River Run are updated daily from data we receive from the Indianapolis multiple listing service. To learn more about any of these homes or to receive custom notifications when a new property is listed for sale in River Run, give us a call at 317-434-3783. Super nice Move in Ready 3 Bedroom 2.5 bath home***Spacious Great room with new carpet and gorgeous new Hunter Fan***Wood Burning fireplace is the focal point with custom trim**Dining room with new vinyl plank flooring and door that leads to private rear yard***Bright White Kitchen features new countertops & flooring and pantry - All appliances stay**All bedrooms have new carpet and fresh paint***Master suite with double closets**New water heater, garage door and garage door opener***Cul-de sac location**Total electric - immediate possession***Close to schools*** MLS#21632639. RE/MAX At The Crossing. Sit on your back patio and enjoy the nature of the woods behind your home. MLS#21631188. F.C. Tucker Company. Beautifully updated bathrooms through-out and high efficiency furnace and AC unit. MLS#21630725. Keller Williams Indy Metro NE. MLS#21630613. Jeneene West Realty, LLC. Very nice and beautiful home with lots of updates. MLS#21629641. Sandcastle Real Estate, LLC. Hurry, it won't last long! MLS#21626802. ABBA and Associates Realty & A. 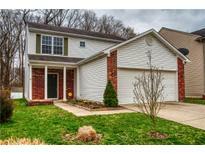 Set up a time now to view this lovely home! MLS#21623110. Keller Williams Indy Metro W.
Fully fenced back yard. All kitchen appliances stay. MLS#21622289. Jeneene West Realty, LLC.